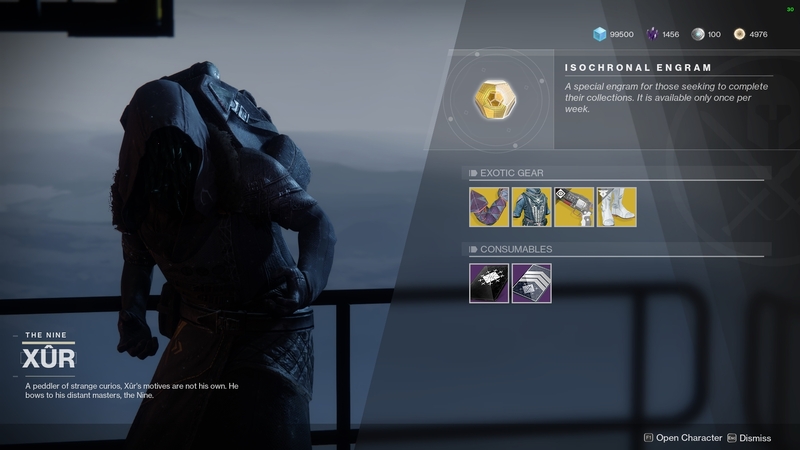 Where is Xur and What is he Selling from July 13 to July 17? For the final time before next week's 1.2.3 update in Destiny 2, Xur has arrived with a selection of Exotics for you to peruse and purchase. Which ones should you buy? Let's take a look at his inventory for the weekend of July 13, 2018. 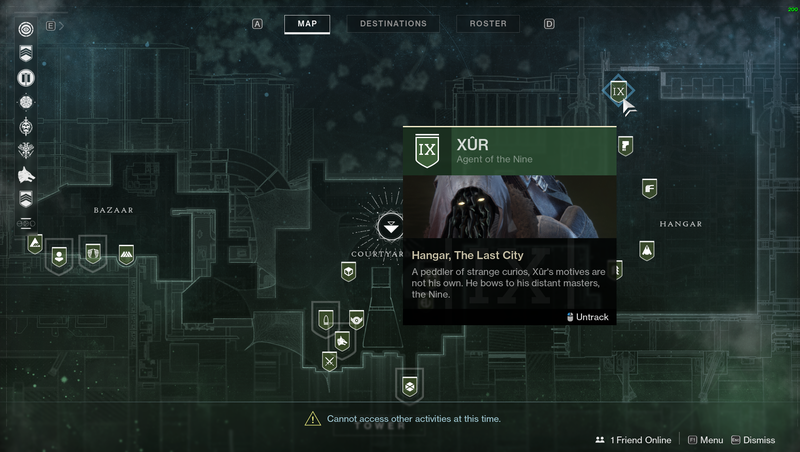 Xur is in the Tower, in his normal spot in the hangar section behind Dead Orbit's Arach Jalaal. This is due to this week's Flashpoint being a DLC location on Mercury. This week's weapon is Crimson, an awesome Exotic handcannon. This gun fires three-round bursts that'll heal you upon getting a kill. Precision kills also reload the magazine. It's a must-own, and it costs just 20 Legendary Shards. The only newer armor Xur has for sale this week is FR0ST-EE5 from the Warmind expansion, which are Hunter boots. These boots give you increased grenade, melee, and dodge regeneration while sprinting. Dodging will also increase your sprint speed. They are on sale for 23 Legendary Shards. For Titans, Xur has ACD/0 Feedback Fence. These gauntlets have a perk called Fury Conductors which allows melee kills to build up explosive energy. Being struck by a melee attack unleashes the energy in a devastating explosion. They're on sale for 23 Legendary Shards. And finally, for Warlocks Xur has brought Starfire Protocol. This chest piece gives you an additional Fusion grenade charge for the Dawnblade subclass, and it regenerates grenades faster. Fusion grenade kills will also grant Rift energy. The armor costs 23 Legendary Shards. This is definitely not the best weekend for Xur, but he can't sell his top stock every weekend, right? Visit him in the Tower if you still need any of these items to fill out your collection.